Tarnel Constructions Pty. Ltd. is a family operated business established by Keith Tarman in 1964. 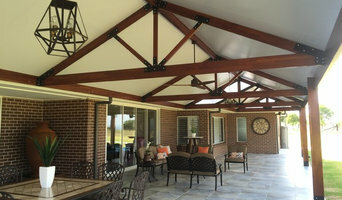 The business has been successfully operating in Sydney for over 50 years, designing, manufacturing and installing Carports, Awning and Pergolas. Keith’s son Colin Tarman took over the business in 1986, and now manages and operates Tarnel Constructions. Being a family operated business we believe that we can provide better personalised service, quality, workmanship, and ultimately customer satisfaction. Tarnel is proud to be an Australian owned company and we use only Australian manufactured BlueScope steel products. 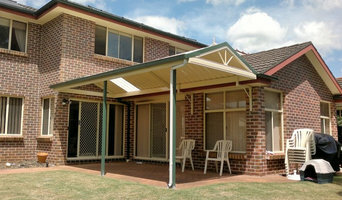 Our carports and awnings are designed and engineered to meet exacting Australian building standards. At Robinson Industries, we have many years of experience in carpentry and building maintenance work from residential through to commercial work. Note from the Director: Hi my name is Steven Robinson and I am committed to quality and bringing you value for money. While I have had many years of experience and yes I am a licensed contractor.I believe doing the job right is the most important thing. In fact I stand by it and we guarantee everything we do. I believe that you will be happy with the work we do so why not give us a call to arrange a free quote today! We specialise in residential and commercial projects, designing and installing innovative opening roof systems for leading architects, builders and homeowners. We have a passion for delivering simple yet elegant living solutions that enable you to enjoy. Sydney Shade Sails Pty Ltd is the premier shade sail company in Sydney. We manufacture and install custom shade sails, privacy screens, cafe blinds and awnings. Shade Sails cover all of your outdoor areas; driveways, patios, decks, swimming pools, playgrounds and entertainment spaces to enhance your outdoor life style and provide needed protection and comfort from the sun's heat and UV radiation. MALIBU SHADE has been providing Shade Sails, Shade Structures & Umbrellas for the last 14 years to residential and commercial projects. We specialises in high quality products and also can offer a design service to customise your exact needs. Malibu Shade is a trusted Sydney based Australian owned company also working with leading Australian Architects and Engineers and is dedicated to the design of elegant and practical Membrane Structures and Shade Sail Structures All our Custom Made Membrane Structures and Shade Sail Structures are installed by qualified tradespeople and have 10 years warranty. Malibu Shade Sails and Shade Structures are perfect for any residential or commercial outdoor areas including; Residential, Retail, Carparks, Aquatic Centres, Education Local Government, Shopping Centres, Public Areas, Schools, Cafes & Restaurants Our services also include, shadow drawings, site specific engineering, conceptual images. From the perfect airy sunroom to an inviting spacious verandah, Spanline Home Additions Sydney South and South West offers a range of custom-designed home additions to suit every budget and lifestyle. With years of industry experience all over Australia, our team of dedicated professionals have been helping homeowners in the region add comfort, space, and value to their homes with our exceptional Spanline products and workmanship. We value your needs and want to work with you to create that special place in your home. From project design to council submission, building and clean up, our team of 10 devoted professionals will be there on every project, no matter how big or small, from start to finish. Products include patios & verandahs, carports & shelters, glass & screened rooms, opening roofs, windows & wallings, insulated roofs, and Spanlites. Interested? Give us a call at (02) 4647 5878 to talk about your vision for your home, check our our website <a rel="nofollow" target="_blank" href="https://spanline.com.au/locator/sydney-south-west">https://spanline.com.au/locator/sydney-south-west</a> or simply stop by our showroom at Unit 5, 5-7 Yarmouth Place, Smeaton Grange to see our products first-hand and have a chat with a member of our passionate team. The trend of hiring the building maintenance contractors has increased significantly as managing a building is not easy. Many people try to fulfill the maintenance requirements of the building by forming teams which comprise the occupants. However, it is not a practical solution as the occupants might lack technical know-how as well as the equipment required to perform the job. Therefore, it makes complete sense to appoint the professionals involved in the building maintenance business, as they can provide services in a safe and cost-effective manner. We offer excellent services for commercial building maintenance in Illawarra and Wollongong with a guarantee to deliver high-quality workmanship. Our tradesmen are extremely knowledgeable and efficient in performing a wide range of activities to keep your commercial building in the superb condition. We install, inspect, repair and maintain HVAC, plumbing, electrical and other systems of commercial facilities. Along with operating building maintenance business, we also provide service for home extensions in Wollongong, Illawarra and nearby areas. Our experienced and friendly tradesmen try to understand your vision to achieve functional and affordable home extensions. You can also approach us for the beautiful deck designs and the best commercial fit out in Illawarra, Wollongong and other regions in NSW. Branson’s Building Materials is a family owned and operated business, and has been servicing the Trade & DIY’s across Sydney for over 20 years. We specialise and stock a huge range of timbers such as Hardwood Decking, Hardwood Timber, Treated Pine Decking, Treated Pine Timber, Modwood, Western Red Cedar, Primed Timber, Treated Pine Lattice and Hardwood Privacy screens & Treated Pine Privacy Screens, and also a large range of Hardware products to complete your order in a one stop shop. We pride ourselves on personal service to each & every customer on a daily basis through offering quality timber, Building Supplies and Hardware products at very competitive prices. 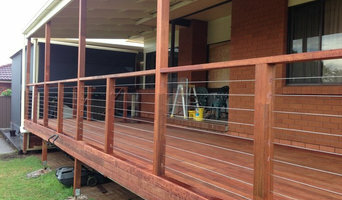 We are a family owned decking company based in the Sutherland Shire and St George areas. We specialise in outdoor living spaces and guarantee personalised service from your first phone call to your first Bar-B-Que. Bring your Life Outdoors with decking, privacy screens, bench seating, planter boxes, pergolas, pool decking, jettys, day beds, balustrading, stairs, water features, garden beds, landscaping and letterboxes. The things I focus on when personally designing your outdoor living space are, to create something tailored to you, something you will be proud to own and to bringing your "Life Outdoors" Please call or email me for a free no obligation quotation, or if your just thinking about the possibilities of an outdoor living space I'm more than happy to offer my advice. You will be pleasantly surprised. Fair Dinkum Sheds is Australia's leading distributor of high quality sheds and garages, carports, barns, and industrial and commercial buildings. Through our network of more than 150 nationwide distributors, Fair Dinkum has sold more than 180,000 sheds and garages around Australia. Each Fair Dinkum building is designed to each customers needs, and is fully engineered to accommodate the unique regions in which it will be built to ensure safety. Download our free shed designer app to design your own shed and request a quote from your closest distributor. 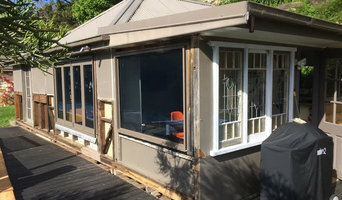 Visit www.fairdinkumsheds.com.au for a free design consultation and quote today! We are Authorised Distributors of YZY Kit Homes - a European company that specializes in creating high-quality pre-fab backyard cabins, timber studios and granny flats for customers in Australia. All the homes are made from Nordic Spruce that is grown in FSC certified forests. Timber, natural material the cabins are made of makes cabins sustainable, healthy to live. Earth will thank you for the harmless choice. Visit our store in Mittagong and find out more about these Scandinavian style beautiful cabins! Perfect for BBQ retailers, outdoor lifestyle and kitchen suppliers, hardware stores, resorts and developers who use or sell BBQ and outdoor kitchens. Some contractors in Wollongong, New South Wales can custom design and build any type of outdoor structure, from decking to pool houses, while others specialise in a certain area. A deck, patio and outdoor structures contractor will typically survey your space and come up with a design that complements your backyard and the exterior of your Wollongong, New South Wales house. 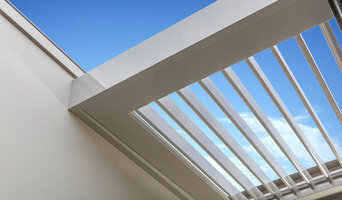 Find a Wollongong, New South Wales deck, patio and outdoor structure pro on Houzz. Scroll through this page to professionals in your area that can design, build and supply materials for all types of outdoor structures. You can browse their latest projects, read reviews to see how other homeowners rate their work, and message them directly.